The emperor Krishnadevaraya’s epic poem Amuktamalyada (Giver of the Worn Garland) depicts the life of the medieval Vaisnava poet-saint Andal, or Goda Devi as she is also known, and her passionate devotion to Lord Visnu. Krishnadevaraya’s unique poetic imagination brings to life a celestial world filled with wonder, creativity, creativity, humour and vibrant natural beauty. The mundane is made divine life become expressive metaphors for heavenly actions, while the exalted gods of heaven are re-imagined as living persons. The poet’s ability to see divinity in the most commonplace activities is an extension of his powerful belief that god is everywhere, in everything, at all times. Amuktamalyada is one of the best examples of bhakti-kavya –a genre that imbues the stylized characteristics of Sanskrit ornate poetry with the religious fervour of South Indian bhakti. 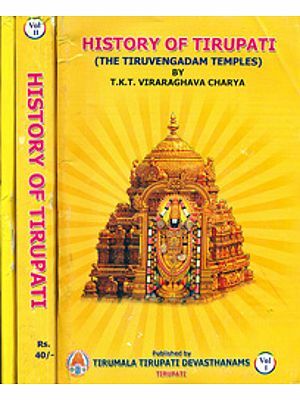 Sri Krsnadevarya became king of the fractured South Indian empire of Vijayanagaram in 1509. During his reign he expanded his empire to more than double its original size and contributed, both as patron and poet, to a flourishing age of artistic and literary creativity. Known as sahiti-samarangana-sarva-bhauma, emperor in the fields of war and literature, he is remembered as iconic god-king. Srinivas Reddy graduated from Brown University with a BA in South Asian Studies. He is a professional concert sitarist and has given numerous recitals in the US and India; he is also a teacher and educator and has taught several classes on Indian literature and music. The 16th century poem Amuktamalyada by the great Vijayanagara king Krsnadevaradya is one of the major works in Telugu and is renowned for its poetic excellence and felicity of expressions. The present translation by Srinivas Reddy is a wonderful evocation of the original carefully following its meaning and conveying its rhythms and poetry. Of the many translations made from premodern India, Reddy’s ranks among the few that read like modern poetry in a English unmarred by stiffness and archaism. Group of temple courtesans play games on their verandas and as they shake the dice with one hand, their braids come undone so when they life the other hand to fix their hair their tight silken blouses and perfectly firm breasts are revealed like the soft round pillow of the God of Love. And as they throw the dice, the mere jingle of their bracelets is enough to stir the hearts of solitary sages. In translating this stanza, Reddy brings across into flowing English a milieu foreign to most English readers in a way that seems natural and compelling. The scene is a complex one: the courtesans shaking their dice, their saris suddenly moving aside and revealing their blouses and breasts, the jingle of their bracelets awakening desire in ascetics. The translation makes this complicated tableau, which could very well appear unnatural and contrived, seem natural. As the reader moves through the beautiful story of Andal/Goda, Reddy’s translations are full of scenes like this that are arresting and delightful. Telugu is South Indian Dravidian language, allied to Tamil, Kannada and Malayalam. Traditionally, it has looked to Sanskrit, to which it is genetically unrelated, for a substantial portion of its vocabulary and for its poetic techniques. The present work breaks with this model by telling a story from the Tamil Sri Vaisnava canon and deliberately looking to the Tamil tradition as well as that of Sanskrit. Not only does it tell a story that it regards as historical unlike the mythological narrative that characterizes most of Sanskrit, it is also marked in almost every stanza by a real, concrete awareness of everyday village life. In his land, mischievous children climb on the large, black back of a water buffalo splendid with its thick hair, its large twisted horns glittering and looking like an arm raised when a man gets tipsy and dances as a woman. And those children look from afar like monkeys on a rock. In the plantain groves of Sri Villiputtur chusters of yellow bananas hang down like big round wreaths, woven with the leaves and flowers of giant chrysanthemums. Blackened banana tips almost touch the ground like intoxicated bees who become powerless and faint when they smell the sweet fragrance of over ripe fruit. A gentle wind passes through a northern temple to Visnu picking up the fragrance of honey-sweetened prasadam, along with the purifying scent of holy basil wafting from the garland that adorns his chest. From here the wind moves to Sri Villiputtur and brushes past the red water lilies that slip from the hair of temple dancers. It is not religious and emotional depth that make the Amuktamalyada a great poem: as we read of Andal and her devotion to Visnu, we experience the world as Krishnadevaraya saw it in all its multiplicity and variety. The Amuktamalyada allows its reader to explore the link between the concrete and the divine, between desire and asceticism, between the ordinary and the exalted in a profound and moving way. It transforms the simple tale of a saint into a great work of literature.